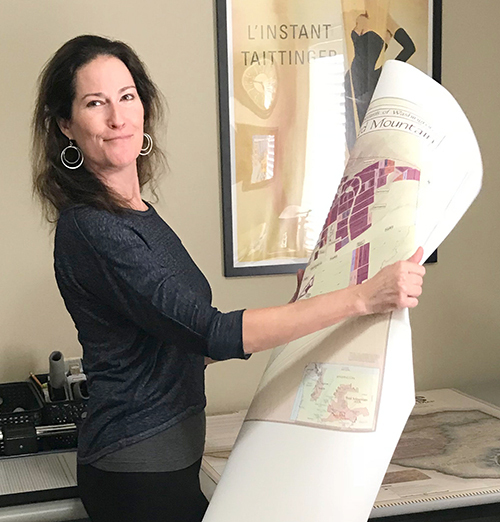 Suzi, a businesswoman with a passion for fine wine and geography, founded VinMaps in 2001 to fulfill a growing interest in high quality wine territory maps. Suzi is an industry leader with a degree in Geography from San Diego State University, who has been working in the field of geography, specifically geographic information systems, since 1991. What began as a small business has grown to a worldwide presence. From the wine tasting rooms of renowned wineries, to the homes of wine enthusiasts everywhere, VinMaps are being featured as premium works of art. Suzi is honored to have VinMaps featured in the training rooms of Total Wine, where they are part of the wine education experience. Each VinMaps® focus is an artistic manifestation of thorough research, development, and design. Our unique premium maps are the perfect blend of science and art, fitting for both education and delight. 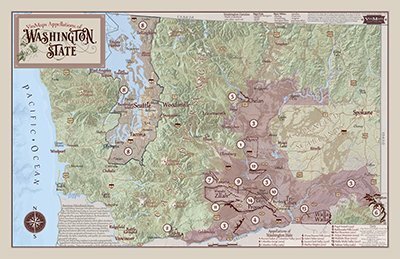 Each map is a beautiful replication of the splendor and majestic beauty of wine country, in hopes of encouraging further exploration of the wine experience. VinMaps are unique and collectible, and are wonderful additions to a wine cellar, home, den, or office. They make ideal gifts for wine enthusiasts, history buffs, and travel connoisseurs. We encourage you to visit our VinMaps Gallery, featuring over 35 beautiful maps, and fall in love with our unique artisan maps today. We are honored and pleased to be a part of shaping the wine experience for so many of our customers. • We are very excited to be working with Total Wine & More and supplying VinMaps wine maps for all of their new Wine Education facilities. • Custom Wine Regions map for the sales team, named one of the “Top 100 Wineries in the World” by Wine & Spirits magazine.